So Recently I received a Press Release ( yes! an actual Press release! Don't be jealous! I get those now! ) 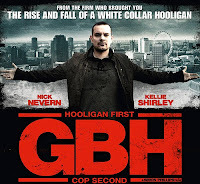 about an upcoming film from the creators of "White Collar Hooligan 1 & 2". 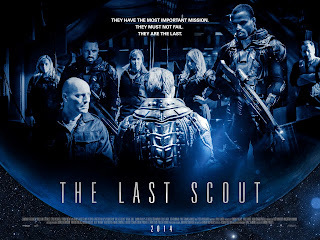 "The Last Scout" How Epic does that Poster Look?! POSTER REVIEW: Great Looking Aliens Style Poster! Automaically creates a tension with simply having all the characters focusing on ONE Character whose Back is to the audience. Even The Characters are shining through by their simple poses ( I'm Looking at Rebecca Ferdinando here! She looks Fiesty already ). Great Poster! 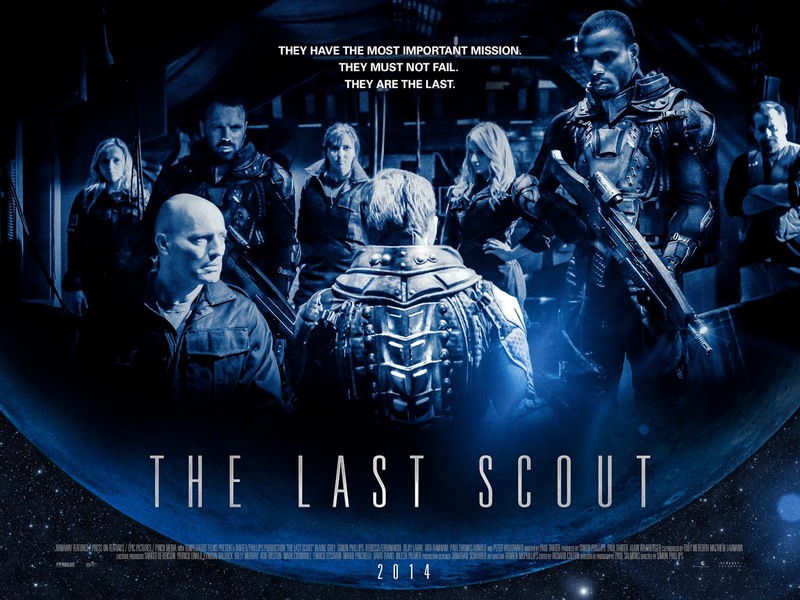 "The Last Scout" A Paul Tanter Scripted and Simon Phillips Directed Sci-Fi Film, Starring The Podcasts own Rita Ramnani, Rebecca Ferdinando, Simon Phillips and Petra Bryant. Being a Massive Supporter of British Film and the people who put all their heart and soul into making it work I like to try and help in any which way I can to promote and push these films out there. Good word of mouth and anticipation is key to success. Being a Massive Paul Tanter Fan helps too. I enjoy this guys writing style, it reminds me a bit of my own writing style ( Writing? Yes I write! Well I attempt to! Go back and Read THIS and you will see how I started writing!.......Seriously Read it! ). 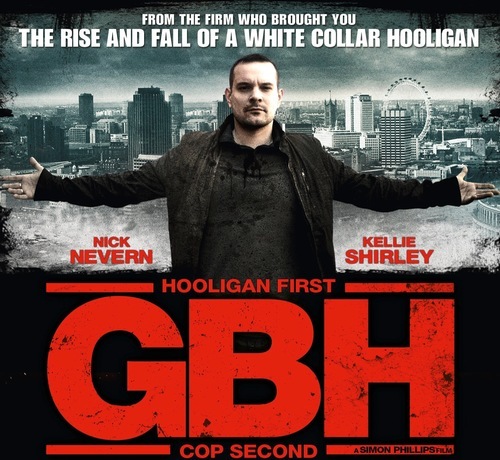 As well as Paul being a great Director too ( He Directed Both "White Collar Hooligan" Films ) he is solely in the writing chair for this and Simon Phillips ( Whose Directorial Debut was the Gritty "GBH" - Seriously Check that film out! Amazing! ) is on Directing Duties. Simon, to me, is one hell of a Director who seems to have taken on board his vast knowledge of the movie making business and put it in to his directing style. His previous effort "GBH" ( Again I urge you to watch! ) was an extremely gritty and dark crime thriller that pulled no punches. British Film needs YOUR help. Without people taking notice of the lower budget, Independent films then they will struggle to get out there. Which left me curious. How do YOU usually find out about films? Do you keep up to date with Film Websites? Film magazines? TV and Radio Reviews and Adverts? Word of Mouth? It's Interesting to know how you find out about film's you get excited about. Let me Know, I would seriously love to find out your movie anticipation outlets. The Movie "The Last Scout" isn't due for another 12 months but knowing that these guys just finished filming in LA for this one and the fact it's a Sci-Fi film, it's going to be worth the wait. I am sure we have plenty more in the mean time to keep us entertained before then. Runaway Features & Press On Features have wrapped on their latest feature in Los Angeles, a Sci-Fi Thriller titled “The Last Scout”. 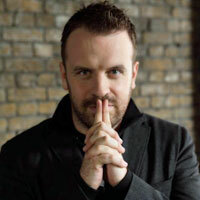 Paul Tanter penned the script, with Simon Phillips taking to the directors chair. 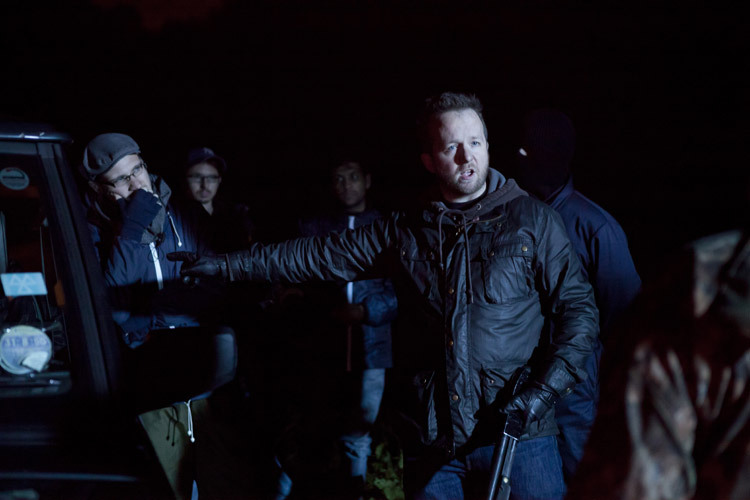 The duo are the creative force behind the UK smash hit White Collar Hooligan and have branched into the Sci-Fi genre. The film is a futuristic story of a crew of astronauts searching for a new home for humanity after Earth has been devastated by a nuclear war between the East and the West. A four week shoot has just wrapped at Hollywood’s Laurel Canyon stages, where the company built a complete spaceship. Tanter said: “After filming White Collar Hooligan 2 in New York last year, we’ve been keen to come back to the US to shoot and this was the perfect vehicle to do so. As Sci-Fi geeks, this is something we’re very excited about and Simon has done a terrific job both behind and in front of the camera, combining the best elements of “Sunshine” and “Battlestar Gallactica”. The Last Scout stars Peter Woodward, Blaine Gray, Rebecca Ferdinando, Simon Phillips, Deji LaRay, Rita Ramnani, Petra Bryant and Paul Thomas Anderson. Tanter, Phillips and Alain Wildberger produce with Lyndon Baldock, Billy Murray, Rob Weston, Patrick Ewald, Shaked Berenson, Enrico Tessarin, Mirko Pincelli executive producing. The film’s target release is May 2014. Have You Heard the Tanter/Ramnani/Ferdinando Related Podcasts? "White Collar Hooligan 2 Special"
"White Collar Hooligan 1 Special"